Our condo is centrally located in Scottsdale. We are close to the downtown area loaded with restaurants, bars, coffee shops, art galleries and shops.We are close to the ball fields, Scottsdale Center for the performing Arts, museums, Top Golf, new aquarium, butterfly wonderland... list goes on. The new look at our condo includes an upgraded ,low level patterned carpet in a taupe/grey tone. The new flooring adds personality to the contemporary organic feeling of decor. The kitchen and bath floor is a planked wood look in the same contemporary colors. A brand new Bosch dishwasher was just installed. A sleek new bathroom cabinet & mirror update the bath area. 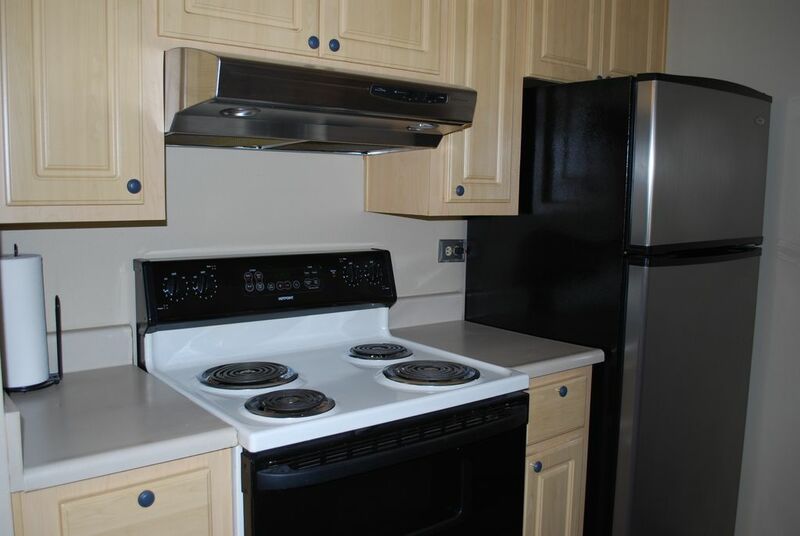 Stay in this Scottsdale condo with a fabulous location .CLEAN...Friendly... And Safe ! The bedroom has a brand new king bed..The condo is centrally located to enjoy all that Scottsdale has to offer. Close to stadiums for Spring Training. The condo is minutes from the waterfront, Fashion Square and restaurants. Our property is a 1 bedroom / 1 bathroom located on the first floor. Note... there are 5 steps to get to the unit. The weather is beautiful !!! The complex has BBQ's and a beautiful pool. We are so close to the bike/walk path.
! It's a bedroom/1 bath condo on the first floor. ( are 5 steps outside to get to the 1st floor) The complex has a pool, spa, 6 propane grills and a tennis court. We are so close to the Casinos, Stadiums, downtown Scottsdale, ball fields and Scottsdale Center for the Performing Arts. The bike path is minutes away. You can bike,walk, or jog on a beautiful path either up North or down to Tempe. The Phoenix Sky Harbor airport is about 12-15 minutes away. The condo is located just minutes from the 101 freeway. This condo is one level and has a beautiful pool. The condo has a new king bed, new Euro sofa and was newly painted. Carpets are brand new.. You can BBQ, lay out by the pool and enjoy the sunshine. The location of this condo is fabulous. There are tons of restaurants nearby.You can walk only minutes to reach the Scottsdale walking/biking or jog path.Downtown Scottsdale is only a few minutes away also. We are 10 minutes from ASU, & minutes to Scottsdale Community College. toilet, combination tub/shower, Brand new flooring & vanity in bath. 2 closets. Downtown Scottsdale is 2 miles away. Lots of restaurants, bars, art galleries. Bedding provided for the Euro bed also. Assigned covered parking. There is also plenty of additional open parking spaces in front of the unit. Living room has a Euro sofa. It can convert to a queen bed. Bedding is in the unit for Euro bed. Bright and cheery dishes with matching glasses and wine glasses. Silverware also matches. Kitchen has a new Bosch dishwasher. All basic items are there for you to enjoy your time in Scottsdale. Brand new TV with Roku. Tempe town lake has canoes to rent. Enclosed patio in unit with table and chairs. We can loan you golf clubs if you would like to enjoy our beautiful courses here. Scottsdale has a ton of golf courses to choose from. The closest one is blocks away. Pool area is very nice. Table, chairs and lounge chairs are at the pool. Great for socializing. You came to beautiful Scottsdale Arizona expecting blue skies and sunshine. The weather was unusually cold, rainy and terrible the entire week you were here. You must have been so disappointed. We take pride in providing a clean, safe condo at a reasonable price so you can enjoy all that Scottsdale has to offer. Thank you for staying with us. Located in a very nice section of Scottsdale and the property is well maintained. I go to spring training every year and I always look for a place to stay other than a hotel. Woodland Springs is located in a nice area of Scottsdale and is close to many spring training stadiums. The condo is very comfortable and very quiet. The appliances are new and I had a wonderful time. I will not hesitate to stay there again. We enjoyed out 11-day stay at this conveniently located condo. Clearly, the owner has updated the interior with new carpet and appliances since the previous reviewer. The interior was freshly painted. The plumbing worked and water pressure was excellent. We've learned that plumbing problems and low water pressure is something often taken for granted! The KS mattress was firm and the new pillows were plush. The fold-out sofa is the living room was comfortable. We enjoyed the patio table with unbrella and the 4 new folding chairs. The 2 folding trays provided additional flat space next to the vanity. Closet space with shelves was more than adequate. The owner was very quick to respond to our questions and personally delivered a mail box key so we could receive a package during our stay. Thanks, Denise. This unit is new to the market and frankly, still needs some work before being rented out. It has been updated with a coat of paint and some new furnishings which is nice, however, it still leaves alot to be desired. The unit is very dated which isn't an issue in most of the unit, however, the biggest issue is the bathroom. There is plush carpeting in the toilet/tub area, the tub is old and the faucets don't work properly. When you turn the showerhead on, the faucet doesn't turn on completely so half the water pressure comes from the tap and half from the shower head and you end up standing in dirty drain water and with little water pressure from the showerhead. The vanity is outside of the bathroom itself and is old. Our other issue was with the WIFI, which didn't work our entire stay. We run 2 businesses from another country and this proved to be a significant problem as we were constantly back and forth to Starbucks to access the internet. The reason was beyond the owners control and they did try very hard to rectify the issue, however, we were never offered compensation and as a business owner if you can't provide the services you advertise you should compensate your clients accordingly. I will say this unit has amazing potential, is very clean and in a great location but needs a little more love before being put on the market at the rates they are asking. I would update the bathroom and vanity area, replace the carpeting and upgrade the sofa to something more comfortable. I also have vacation rental properties and can honestly say my expectations were not met with this unit. Thank you for taking the time to write a detailed review of your 2 night stay. The slow drain and diverter valve adjustment was repaired as soon as we were notified of the issue. The cable TV/internet is up and running. The service provider had an outage and even though the cable TV was restored within hours, the internet was restored the next day. During that time we updated you with the information while you were out having fun. We were happy to accommodate your last minute reservation between guests and provide a very clean and safe environment during Scottsdale's crazy-busy Spring Training season. Please come again and stay longer to enjoy all that Scottsdale has to offer. This condo is in a fabulous area of Scottsdale. It is in the hub of activity. It is close to the stadiums for Spring Training. There are bike/ jog and running paths on the greenbelt. Ten minutes to Arizona State University, Scottsdale Center for the Performing Arts, and golf courses, The bus line runs right in front of the building. It is 2 miles from Fashion Square Mall, Scottsdale entertainment center with tons of restaurants and nightlife. To avoid charges, please pay by direct payment from checking or savings. Payments made by E check ( From checking or savings using routing and bank numbers) have no additional charge. Payments by credit cards will have an additional 3 % added to total. Vacation Rentals charges an additional fee for International credit card use that is the responsibility of the tenant. (2%)The fee will be deducted from the security deposit. I will be happy to allow direct deposit to avoid those charges for you. Summer and Fall rates do not include utilities.